Cincinnati, OH — Pro Mach, Inc. announced today that Alan Shipman has been named President of its Identification & Tracking Group to replace Bob Zuilhof, who is retiring in June. 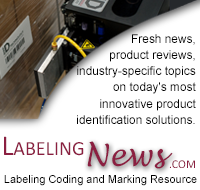 Through its ID Technology and Labeling Systems (LSI) brands, Pro Mach’s Identification & Tracking Group designs and manufactures labeling, coding, and marking systems, peripherals, and labels for a wide range of industries and custom applications. The Identification & Tracking Group employs over 275 people across seven manufacturing facilities and dozens of regional support locations throughout North America.